The Minnesota Twins have announced that they have traded RHP Fernando Rodney to the Oakland A's in exchange for RHP Dakota Chalmers. The Twins have traded their closer, Fernando Rodney, to the A's. In return, the Twins receive 21-year-old RHP Dakota Chalmers. Chalmers was the A's 3rd round pick in 2015 out of high school in Georgia. He received a seven-figure bonus, well over slot value, to keep him from a commitment to the University of Georgia.. He pitched a couple of games with Beloit this year, but according to Darren Wolfson, he had Tommy John surgery in April. Rodney was signed by the Twins before this season. He worked in 46 games for the Twins and went 3-2 with 25 saves and a 3.09 ERA. According to Mike Berardino, the A's had claimed Rodney, which of course gave them less leverage in a trade. 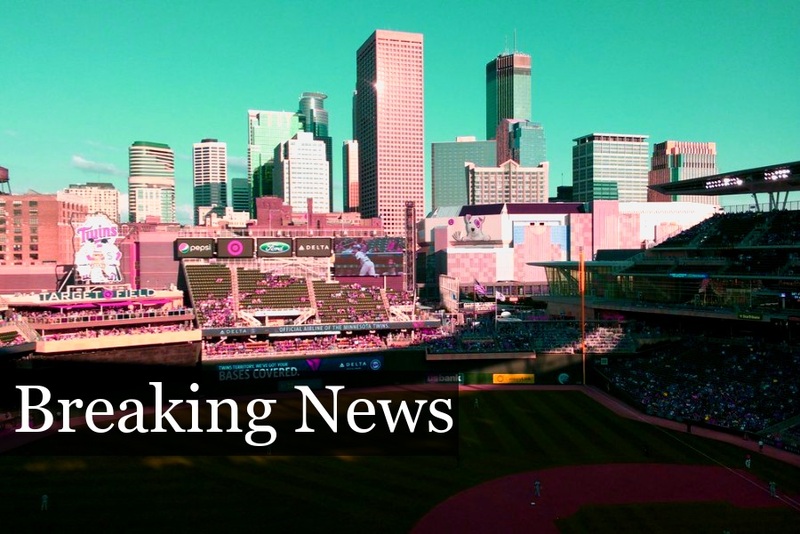 The Twins will make a corresponding roster move tomorrow before their game. Late innings might be watchable now. Enjoy the FRE Oakland; I sure didn't. Pitching in Beloit for 5 whole innings this season.Currently on the DL.Not on A's Top 30 list.6'3" & about 175#.Anybody got a scouting report on him?I hope he at least throws hard when healthy. Now, let's find a taker for Morrison and see what Austin might provide going forward. Huh... I thought they'd hold on to him and use his option, but I'm fine that they'd didn't. I'm interested to see who'll get the opportunity to close games... Hildy and Reed would probably be the top options but I don't think they should at the moment. Let's get an arm from AAA and figure things out from there. Look at his Ks last season. Something like 47 in about 29 innings. I always thought May would be a good closer! Admire Rodney's career, his firm fast ball and light touch on the change-up.At his age, it's like "Grampa got game". But the arrows, the skewed hat, the non-chalance as the 9th inning got crowded with opponents on bases, sorry Fernando but, you lost more than a game with all that. Good luck on the Coast, I do like the way A's play ball. Wow. Unexpected. Not sure how I feel about the return. Make McGill the closer please. Keep May for high leverage. Or maybe move Reed to closer? He is 21 and has had some injuries and significant trouble with command. He is young enough to recover from both and approach his upside when drafted. May is probably better used putting fires out mid inning than 3 runs up with no one on. I also don’t know if he is up to the workload of a closer (sometimes 2-3 days in a row). Does anyone really think it won’t be Matt Belisle in the 9th in 9 days? Until then, idk. Hildenberger I guess. Maybe matchups. I say we run out multiple openers, and let the starting pitcher finish games. I wonder who’s next? Personally I kinda hope it is Ervin Santana. Not that I have anything against him, but with this obvious rebuild going on now would be the time to trade Santana and then call up Stephen Gonsalves and roll with Gonsalves for the rest of the year and see what we got (that is unless we trade Jake Odorizzi) in Gonsalves. Honestly, I thought we could get more for him than what this looks like on the surface. Once again looks like high velocity, high upside gamble. Mid/High 90s fastball is what I've been seeing and reading most places. High risk/reward type pitcher it seems. Lots of Ks but lots of walks as well. A million dollar bonus baby. A year away from returning to the minors. Still not a bad return ffor the future. We still have Curtiss and his stuff in the minors. But I'm voting that we make TREVOR MAY the closer for the remainder of the season and see if he can handle it, assuming we do have games to close. Still to move: Morrison and Santana, and maybe Addison Reed. I like the trade. Rolling the dice on for a high upside starter makes sense to me. The comments from the Beloit pitching coach are glowing. The problem is that nobody's going to trade for Santana when he's struggling to throw 90 and is rather ineffective. Maybe you could flip him as a long reliever, but I have a feeling they might need to shut him down on the DL for the rest of the year. They won't need a closer most nights. Interesting event.I am in MI and saw it announced in the Astros Mariners game.Good news.Please do not pick up any more loose arms - go with what is in the minors. When the risk is zero, it isn't a gamble. If Belisle is closing next week we will all feel very sad. Time for new blood. I don't mind the return arm. Here's hoping the new kid recovers. Rodney just wasn't going to be a part of the future for this team.While I did enjoy the FRE I just didn't see him being a fit for this team next year.I think this team needs better options. The return feels a bit underwhelming but considering the type of pitcher he is I guess this is about what he was worth.Would have been nice if they could have gotten some DSL or GCL lotto ticket as well but I guess Chalmers was it.I guess it is nice to get something for him.Thanks for the memories Rodney.Have fun being on a playoff team and entertaining the A's fans. Interesting trade, I guess it makes sense moving Rodney when he doesn't fit.The Twins will probably need to sign a closer in the off season.